Older air conditioners may start to show signs of their age and eventually fail completely. Your air con has many complex moving parts, and you may notice unusual noises as parts begin to wear out. As a rule of thumb, it is a good idea to replace your air conditioner before it reaches 15 years old. Technology moves on, and there are many advances made every year that improve both usability and efficiency. Here are some of the problems that you may notice as your system begins to show its age. An older air conditioning system will slow down noticeably in performance. It may become apparent that the system is taking longer to cool down your home. Of course, the level of energy needed to run the system will stay at the same level or even increase. This means that you will continue to pay the same or higher energy costs for an increasingly poor level of cooling performance. Gradual operational damage to the compressor, coil and/or fan will mean that the air conditioner has to work harder to cool your home. This will cause an increase in energy usage and higher bills as a result. Even though the air conditioner is trying harder, the results will still be poor because of the wear and tear on the components. If your air conditioner is quite old it and it is operating perfectly well, it will still be less efficient than a brand new model. Like most industries, the technology in home cooling moves forward at a fast pace, and an older model will be far less efficient. The longer you keep using older air conditioning systems, the more likely they are to break down. This usually happens when you need it most, and a repair will almost always be necessary. If you find that the frequency of these repairs is increasing, you may need to think about a replacement. Over time the cumulative costs of these repairs could be far more than it would cost to simply buy a brand new system. Many experts, recommend changing an air con system every 10-15 years or if it shows excessive signs of aging like those shown above. Regular servicing can extend this period significantly, but eventually, even this attention will not be enough. A point will be reached where repair will become uneconomical and recognising this moment will be key for saving money and maintaining cooling performance. If you would like to know more about hiring the best local air conditioning specialists, contact us. 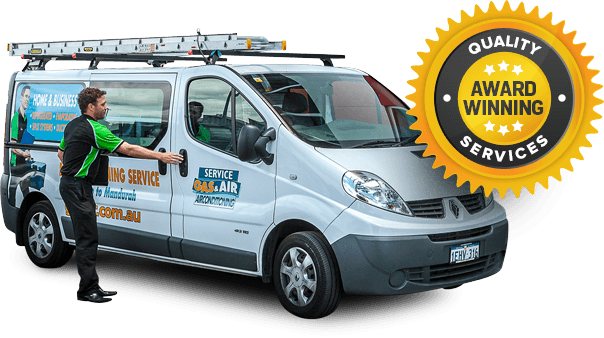 Here at Gas & Air, we are experts at installing, servicing and repairing all kinds of domestic and business air conditioners. All of our installation team are trained professionals, and we have interest free finance options. Get in touch with us today, and we will be happy to discuss your needs in greater detail.